I want to talk about building an effective marketing strategy, especially when it comes to email. So, think about this for a second. A screwdriver is designed to do what? Turn a screw in. A hammer is designed to what? Pound in a nail. 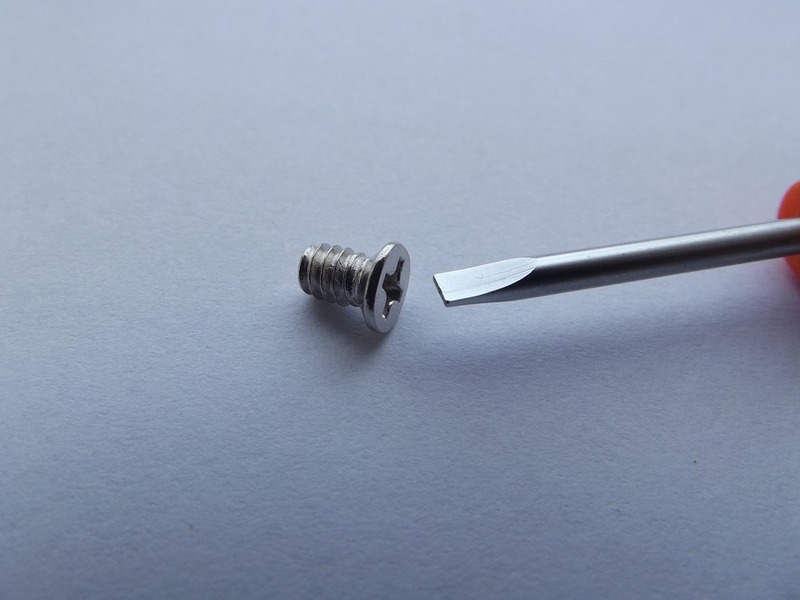 So, you can pound in a nail with a screwdriver, especially a bigger one. You can also hammer in a screw with a hammer. But neither one of those are designed to do the job, so (A) it’s going to take more effort, and (B) it’s probably not going to give you the desired results. The same thing happens when it comes to email marketing. Now I don’t know about you, but I get added to all kinds of lists. People know I have a predict. “Hey, want to interview me? Add this your article.” All this other stuff, like “buy my crap?” It happens all the time. I don’t ask for these things, but I end up on them. And we all do. We get a ton of email, and the question is: Are you really using it the way that your audience wants? Because that’s the key. Now, I have a potential client I’m working with. They have a list of 10,000 names, and here’s what they do. They send the exact same message to everybody once a month, hoping to find that lightning in a bottle. Think about it. How targeted can those emails be, and how often are those emails sending the right message to the right person at the right time, especially only doing it 12 times a year, once a month? What you need to start doing is thinking about email as not so much of an advertising method, but more as a relationship building method. Last week we talked about Nimble in one of the expert interviews. Nimble is a CRM system. CRM stands for customer relationship management, and it’s a technology for managing all of your customers’ relationships and interactions with customers, or potential customers. The goal is simple: the bottom line is to improve relationships. That’s it. Vendors are sort of like customers, which is why they’re included here. They often help you support the first three types of customers. Where are people in that relationship? Are they cold leads, meaning they don’t know about you? Are they warm, as in they know about you but they’re not ready to buy? Or are they hot, meaning they are in need and now is the time that they’re going to jump on something? You just might be it. The last part of CRM is manager. Manager means that you’re managing the communications, which includes the messaging, the events, reminders, or getting them to take action. You’re managing that relationship process. Does your CRM have a plan? Do you have a plan with your email marketing? Most people who have a CRM use it occasionally. Frankly, they’re not using it to its fullest potential. Instead of it being a customer relationships manager, it turns into a Crappy Records Manager: It’s there. Okay, I got the data. Now what do I do with it? How do I manage this? Start thinking about your CRM as a Custom Relationship Methodology. CRMs come in a lot of different formats, all the way from Salesforce to Nimble, and it could even be your email address list. It could be just your contact book in your phone. That’s a customer relationship management tool, believe it or not. It all depends on who these people are and where they are in the buying process. I want you to think about who your clients are. Where are they hanging out? How do they like to be communicated with? What energizes them or what deflates them? There are personality profiles like the DISC system or Myers-Briggs, so let’s take a quick look at the DISC system. So let’s look at that as if we were trying to sell them toilet paper. I know, it’s a crappy idea, but bear with me. Let’s think about that. The ‘D’ people want to get the job done. The brand I would pick for them would be Quilted Northern because it’s just really nice toilet paper. That’s their slogan. For the ‘I’ person, they want to enjoy the experience, so let’s get them Charmin. Enjoy the go. The ‘S’ person wants to prevent unpleasant experiences, so we’re going to get them into Angel Soft. It’s comfort where you need it. The ‘C’ people, the conscientious ones, they want better results, so we’re going to give them Cottonelle, clean ripples. There’s a quality to that. Only start to look at this, yeah, we’re selling toilet paper, but there are four different personality types. Think about your email marketing this way. Imagine you’ve got a bunch of messages lined up. Maybe you have a drip sequence. I would say five messages. Here’s step one, what I want you to know about, then step two, step three, step four, step five. The messages themselves can have the same core information, but the person who is dominant, the D, they want bullet points, they want to get to the point, and they want to know that they can take quick action on it. For the influencer, who is more into the personality side of things, maybe you explain it a little bit more, add a story, put a gif in there, do something that adds more personality to the message. Do you see where I’m going with this? The bottom line is that you can have the same message but you might need to modify it a little bit based on each one of those people’s personality profiles. First, start to define your audiences as where they’re at in the buying process. Are they cold, are they warm, are they hot? Where are they as far as in your customer base? Are they current customers, are they past customers, are they future customers, or maybe they’re a vendor? If you start to break this out, you could take the same message and basically align it for each personality segment. Now take the personality on top of it and say this is a strong-willed person, a ‘D’, or a fun person, an ‘I’, or a stability person or a conscientious person. Each one of those fits within those slots as well. I don’t want to overcomplicate the situation, but the more targeted you can make these emails to the person, where they’re at and what their needs are, the better the results are going to be. Let me leave you with some thoughts. Again, we’re talking about toilet paper. When you start out with crappy information, you get crappy results. Start to target who it is you’re talking to, and how to personalize the messages you are sending them. Lastly, don’t just pitch and flush. Don’t go on LinkedIn and say, “Hey, you want to buy my stuff?” Take time to build that relationship. It pays off in the long run. Biz Tips: Has Your Message On Hold Provider Put You On Hold?